New Delhi [India], Mar 26 (ANI): Two minors were killed in a fire that broke out in a four-storey building in South Delhi's Shaheen Bagh on Tuesday. 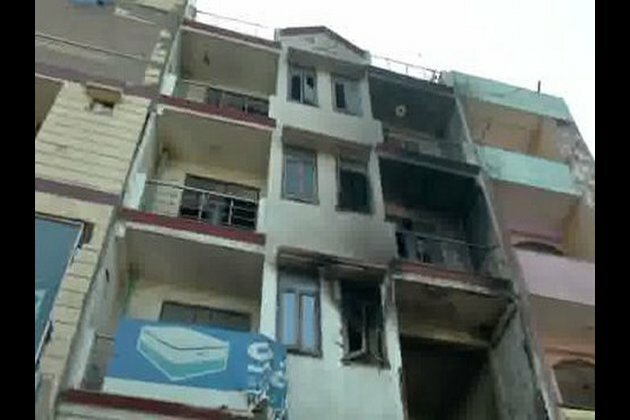 One of eyewitness told ANI, "Around 20 to 25 people were present in the house when the fire started and as it became uncontrollable we immediately called the Fire department and fire tenders reached the spot on time. "Two children both of them belonging to the family of Ehsan Malik who owned a furniture showroom on the basement of the building, he added. Another eyewitness said, "Nearly five fire tenders reached the spot on time. Meanwhile, locals rescued the remaining members of the family but unfortunately failed to rescue Ehsaan's daughter Aisha and his nephew Juhaib, as both of them hidden inside the building because of fear. "They both have been taken to the Holi Family Hospital but declared dead. However, the matter is still under probe said, eyewitnesses.